Reference standard of horizontal and vertical burning test are UL94-2006,IEC 60695-11-4 ,IEC 60695-11-3 GB4943-2001,GB/T5169-2008,IEC60950;it adopts Bunsen burner in required size and required ignition gas source(methane or propane);exert ignition on the horizontal or vertical specimen at a certain height and ignition exertion angle at regular time;use specimen ignition,lasting time and combustion length to evaluate its combustibility and fire fatalness. 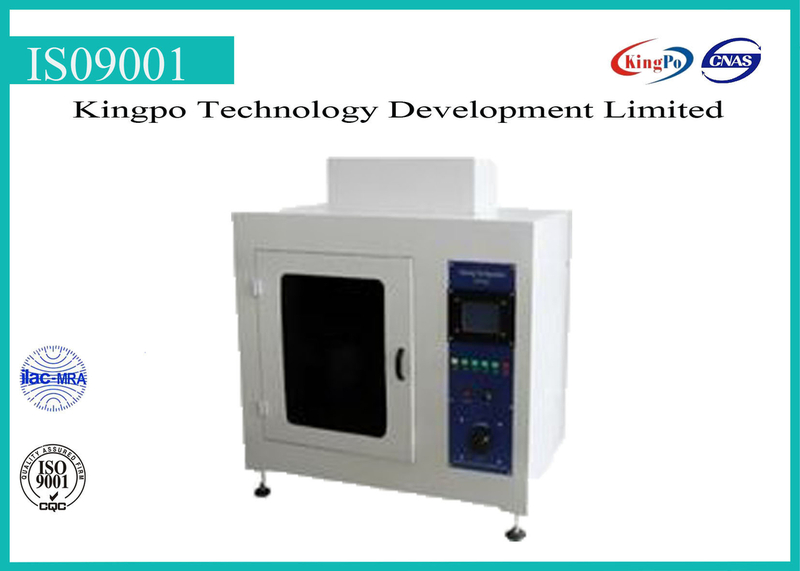 The tester is mainly aimed at evaluating rank of material combustibility at class of V-0 , V-1 , V-2 , HB , 5V ;suitable for research,production and quality testing department of electrical and electronic devices and component parts like lighting equipment,low voltage apparatus,household appliance,machine tool electric appliance,motor-driven machine,electric tool,electronic instrument,suitable for insulating material,engineering plastics and other solid combustible material industry. 11, thermocouple:K tyoe Φ0.5mm accuracy±0.05%. 16, control:single chip Microcomputer touch screen+button type double control system,high accuracy temperature gauge,independent electrical control system,strong anti-interference. 18, standard integration:program test procedures in accordance with actual test procedures.